Oh, Dougie! Like you didn't know. Like you care. I understand. It's like your mother said, "If you can't say something that elicits a groan, don't say anything at all." One of my uncles once described his high school history teacher as mean enough to go bear hunting with a switch. If you are up to it check out the background and then notice there isn't even a switch. Oh, dear, there may even be big game from Africa there. Audrey? Dougie and his sister Penny only have the two kitty cats (lions) and SpongeBob. No switches, but they really like sticks! Audrey, I apologize for suggesting these unspeakable things. 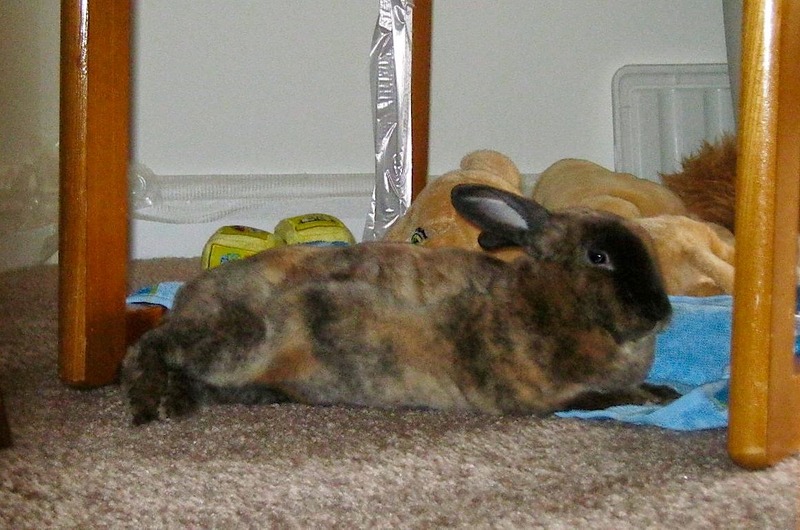 Dougie is a truly beautiful bunny, and I am always glad to hear that a bunn has the companionship of a real bunny, too. What a beautiful fur coat you have, Dougie! I would love to stroke and pat you! 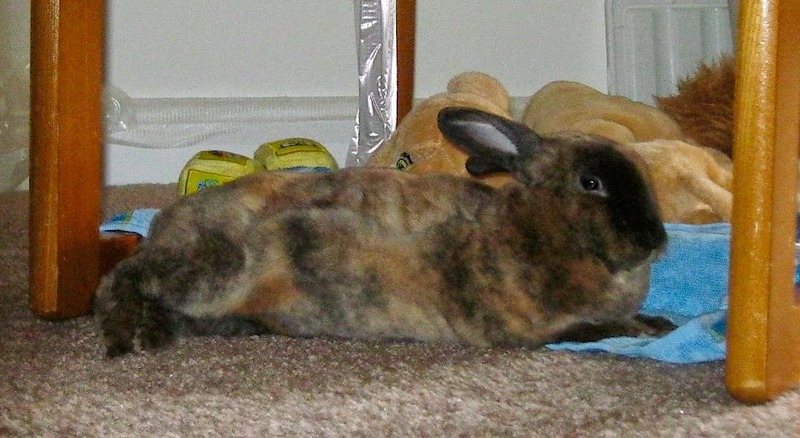 What a handsome bun you are!